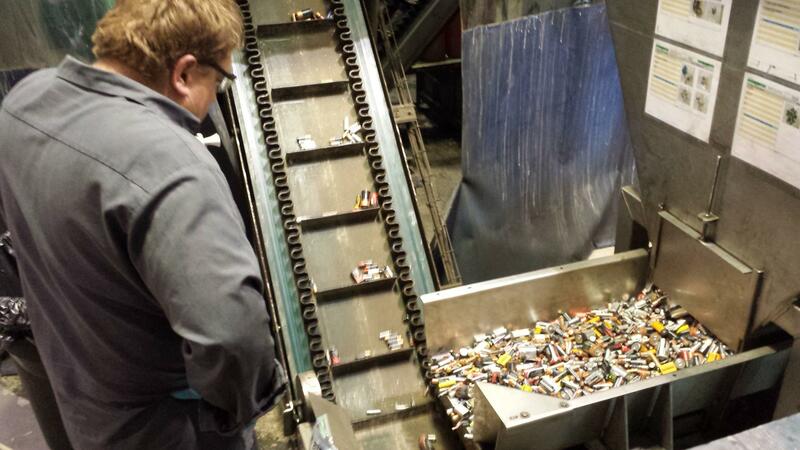 Alkaline batteries before they're recycled at RBS Metals in Brighton, Michigan. The batteries are sorted several times to make sure only alkalines get into the process. A worker studies the conveyor belt. If a lithium ion battery gets in, it could be dangerous. Workers are trained on the batteries that do not belong in this building. Neil Brown shows me some of the steel collected at the end of the recycling process. The steel can be melted down and used again. Neil Brown shows me the plastic, paper, and brass that are collected. Neil Brown says they're finding more and more markets for the materials they recover. The little brass bits from inside the battery can be reused. Each pallet weighs around 3,000 pounds. I was surprised to find out recently that you can’t recycle household batteries in Ann Arbor anymore. I used to collect them in a little steel can, but Recycle Ann Arbor stopped taking them. Alkaline household batteries do not contain hazardous materials and may be disposed of in the trash. These batteries used to be considered hazardous waste. But companies stopped using mercury in alkaline batteries in the mid-1990s. And recyclers and policymakers decided enough time has passed - older batteries are mostly out of the waste stream, so many places recommend tossing alkaline batteries in the trash. That was surprising to me. It seems like there ought to be a way to recycle them. Here at Michigan Radio, we use a lot of batteries. Chief engineer Bob Skon tells me he usually buys a box of 500 AA batteries every two months. So with our audio recorders and cameras, we go through around 3,000 AA batteries a year. That’s about 150 pounds of batteries. But we're not allowed to toss them in the trash. Michigan regulators suggest that businesses and other large "waste generators" manage these types of alkaline batteries as part of their "universal waste" management plan. The University of Michigan, our employer, does this. "They’re still requiring that we put them in a bin and then they come pick them up," said Skon. " I’m not sure what they’re doing with them afterwards." The batteries are gathered up by the university. 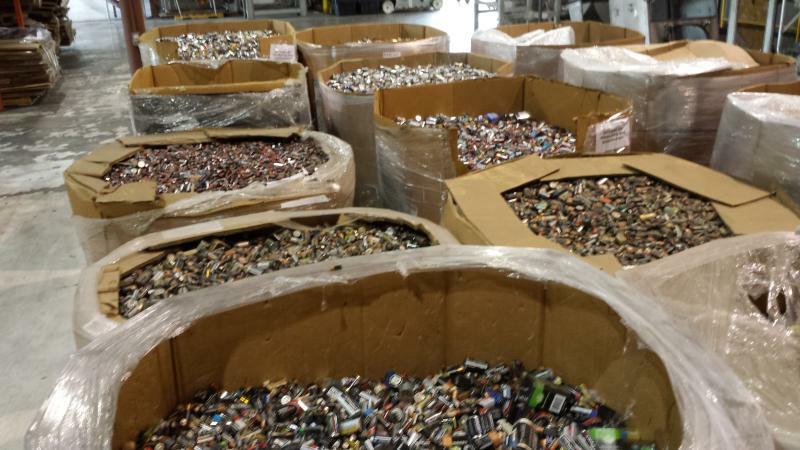 Batteries are shipped to Cleanlites in Mason, MI where they are sorted. Batteries are shipped to Battery Solutions in Howell, MI for more sorting. Batteries are shipped, checked, and recycled at RBS Metals in Brighton, MI. 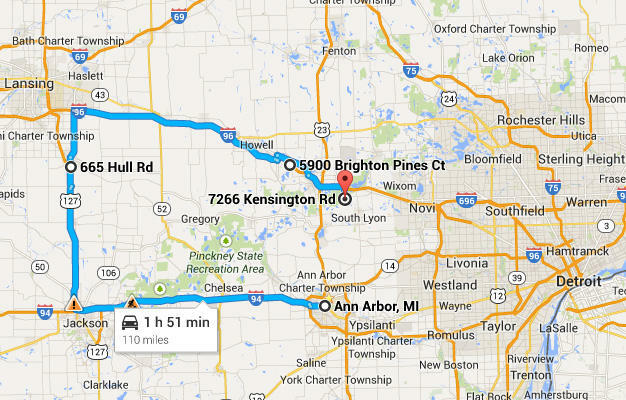 The trip our alkaline batteries take from Ann Arbor to the recycling facility in Brighton. 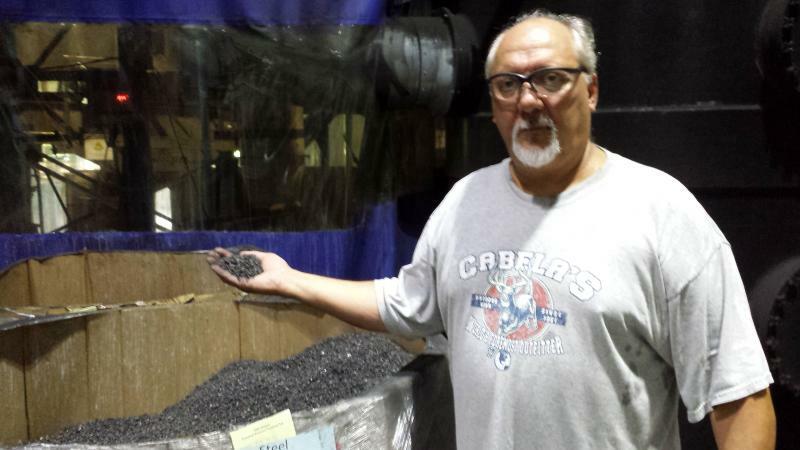 Neil Brown is the manager of the recycling plant for RBS Metals in Brighton, Michigan. They only recycle alkaline batteries here. Battery Solutions collects the batteries from all over the country and ships them here - to Michigan. Brown showed me the process, but wouldn't let me take pictures of the machine. He says they're only company recycling batteries this way and the process is patented. The equipment was developed and built in France by a company called Recupyl. When I was there, a worker studied the batteries as they were fed onto a conveyor belt. His job is to pull out any batteries that are not alkaline. He has to watch carefully. A lithium ion battery getting into the machine could be dangerous. The belt carries them into the machine. "So it gets hammered by 48 hammers inside the hammer mill," said Brown. "It gets pulverized. And separates all the chemistry of the battery and then it comes down into this vibrating sieve." 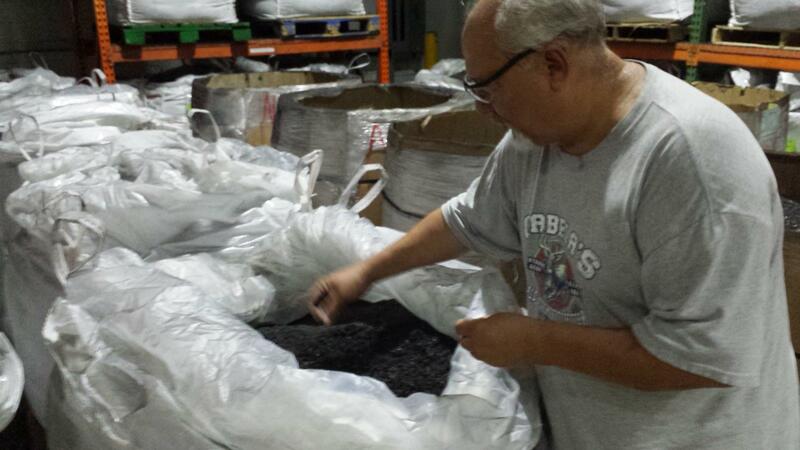 Piles of fine black powder and little chunks of steel sit in large bins in the warehouse at the end of the process. It's product that can be re-used. "Nothing gets thrown away," Brown explains. "It’s all right here. That’s all the powder. That’s all the zinc and manganese that’s in there. That’s all the paper and plastic and brass that made up the battery, and that’s all the steel of the battery." Brown says fertilizer companies buy up about half of the zinc and manganese they collect. Other companies are interested in the zinc and manganese for other uses. Another company is interested in the brass they pull out. And the steel ,of course, is easy to melt down and use again. This company is doing it, why not others? So if they can sell off all of these parts of alkaline batteries, why aren’t more people doing it? Marc Boolish, president of the Corporation for Battery Recycling, says the entire process, from your house to a recycling facility, still isn't efficient enough. "If you are an individual processor, the amount of money that you spend collecting, processing, transporting does not offset the cost of the materials that you get at the end of the process," he said. The CBR represents the companies that make Energizer, Duracell, and Panasonic batteries. California bans household batteries in their waste stream, and governments like the European Union and Canada are pushing battery makers to take more responsibility for their products at their end-of-life stage. Boolish says they're trying to work with policymakers to develop a recycling system that makes financial and environmental sense. Right now, you have to pay companies to recycle these batteries. 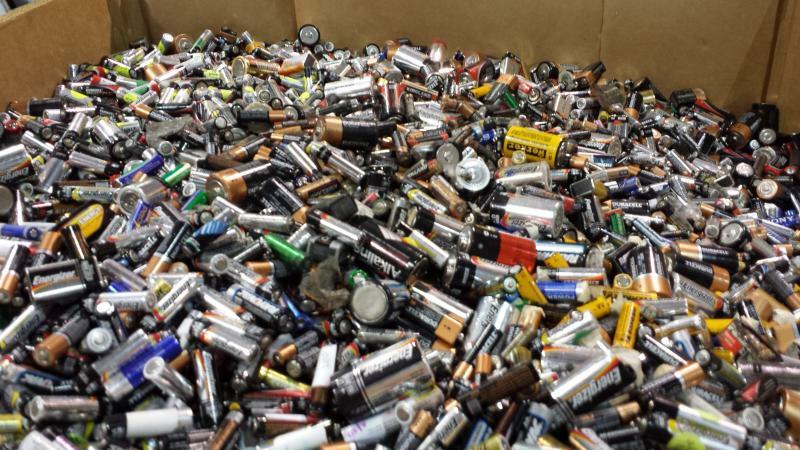 The University of Michigan pays around 50 cents a pound to recycle its alkaline batteries. 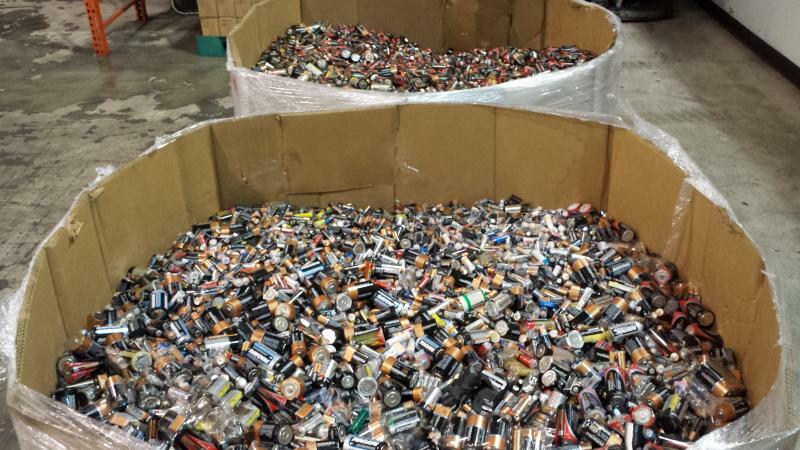 Simply transporting these batteries to a recycling facility is one of the biggest costs. Researchers at MIT compared the impact of certain recycling processes with simply landfilling alkaline batteries. 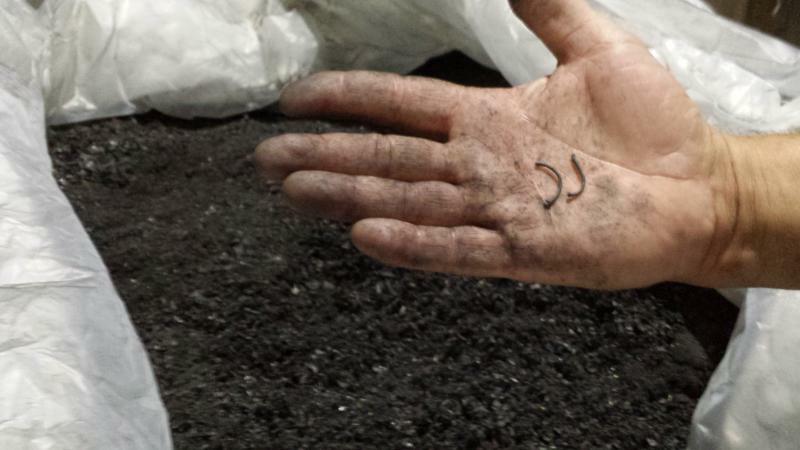 They found that, depending on the infrastructure and the type of recycling process, the amount of fuel burned to transport and process these batteries can offset any environmental benefits. Experts say the way to fix that is to develop the infrastructure to move these batteries efficiently. Boolish says that’s the kind of system they’re trying to develop. The process going on here in southeast Michigan might just be efficient enough. Our batteries at Michigan Radio are traveling a total of 110 miles before they're recycled. And the process developed by Recupyl being used in Brighton captures just about all the materials from alkaline batteries, something the MIT researches said is critical to making the recycling process successful. A proving ground for an organized and efficient battery recycling system might start in Vermont. That state passed a law that requires companies to come up with system for household battery recycling. It will go into effect in 2016. In the meantime, if you just don’t feel right about tossing those batteries in the trash. And your city doesn’t recycle them. A searchable database to find where you can recycle batteries near you. And there's always more to learn. 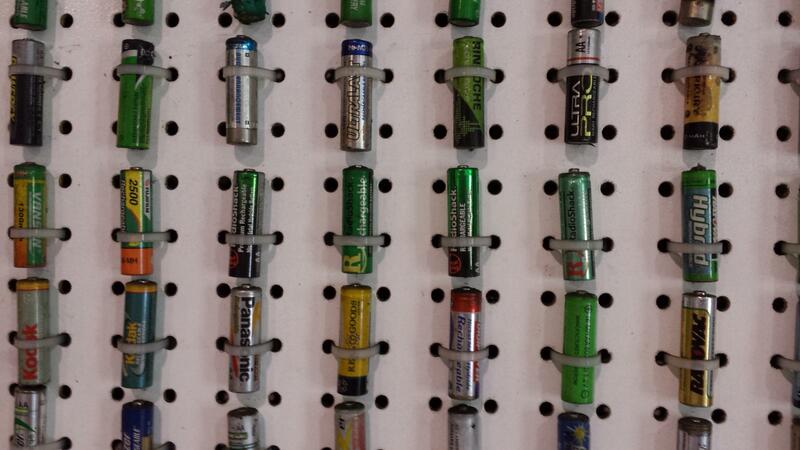 If you know of other ways people can recycle alkaline batteries, post them below! *Clarification - a previous version of this post stated, "Michigan regulations require that businesses and other large 'waste generators' manage these types of batteries as part of their hazardous waste management plan." The state regulations suggest that large waste generators do this, so toxic batteries don't get mixed into the waste stream. U of M does this. The post has been updated above.